and Please forgive the following shameless promotion! No, the image on the right is not one of my new paintings. 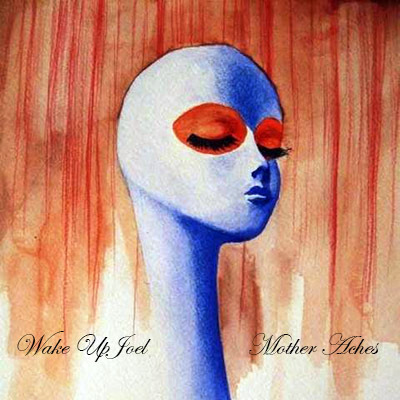 I do have some new art below, but this is in fact the current (cd) cover for my son's band "Wake Up Joel" and I am hereby promoting the sale of their debut! In fact I'm offering a screaming deal on some art to help get the music out there. (if that's not a father's love, I don't know what is). You can preview the songs before you buy. They are an indie/alternative band with hints of Mumford & Sons, Arcade Fire, The Strokes and the like. Roderick Jr. did all of the writing and composing (and plenty more) on the album. . . . and now for some other new art! (above) - "blue for you" - 20"x20" acrylic on canvas - $2000. 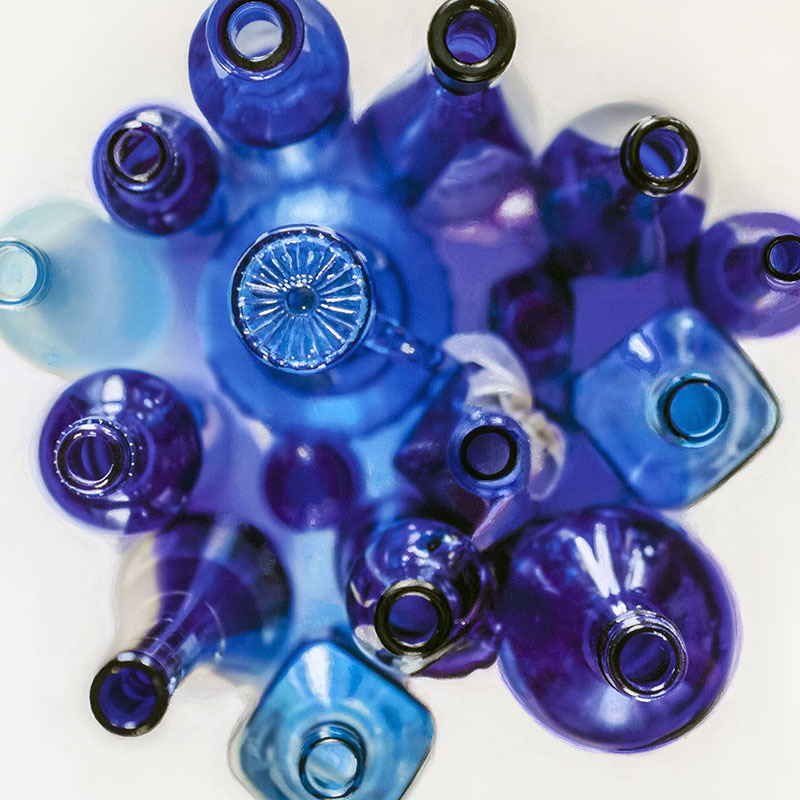 As I bounced around the studio capturing various perspectives on this collection of blue bottles, my partner (of the romantic nature) suggested a view from directly above them. As much a nod to my appreciation for collaboration in general as my affection for her personally and an affinity for the unique point of view she presents, I decided to make this one of the first in this series. 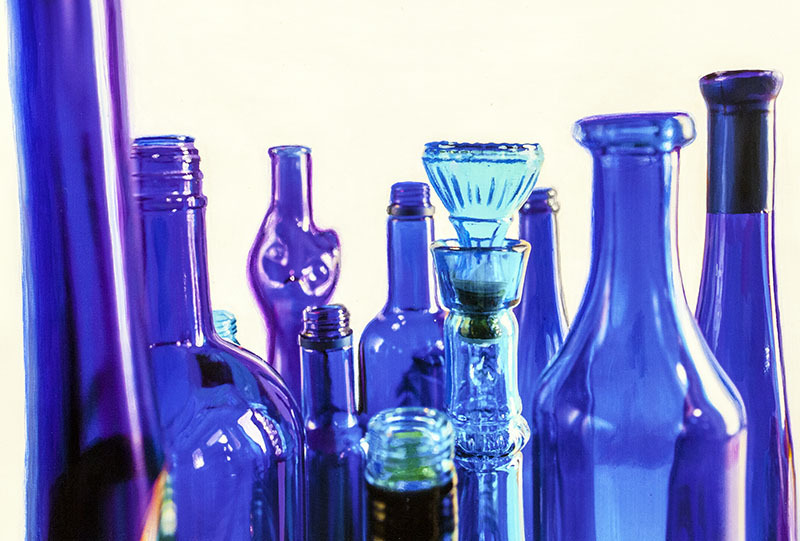 I love patterns and repetition, am always intrigued when the majority of an image is out of focus and enjoy that these elements are barely even recognized as the same bottles from the other paintings in the series. (below) - "blue bottletops" - 12"x20" acrylic on canvas - $1,200. From the same staging as the above painting, I captured this fun skyline of blues! Well there you have it! I've got some more new paintings I'll be including in the next newsletter! Until then I'm back to work preparing for my final two Spring shows in the Saint Louis area.